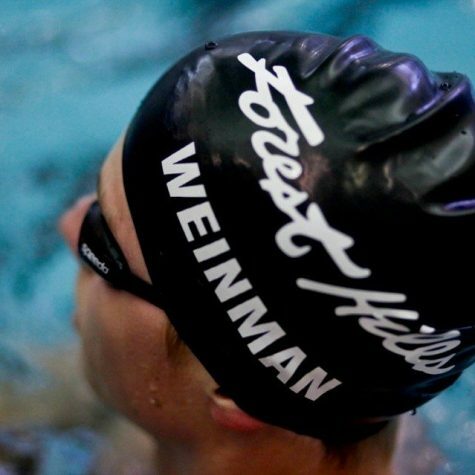 The Spartans returned to the pool with wins for both the men’s and women’s squads. 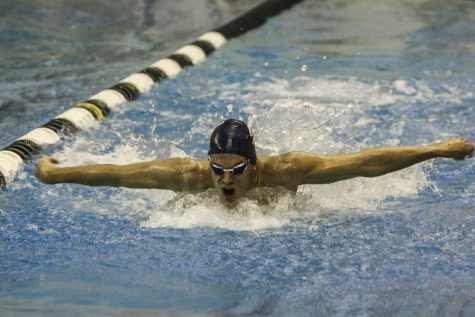 The men and women’s swimming and diving teams started off the second season with a bang, defeating Allegheny handily. Impressed by the team’s victory, Coach Doug Milliken said, “It was a total team effort. The team is incredibly tired and broken down from hard training.” Both teams have lost only once in 10 meets throughout the season and dropped Allegheny’s teams to 4-6 and 2-8. 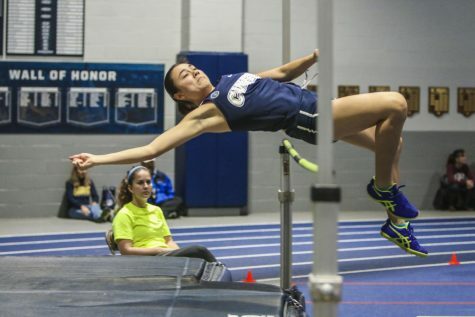 The women’s team earned first place in 10 events, which led the team to a large 181-114 victory at Allegheny. 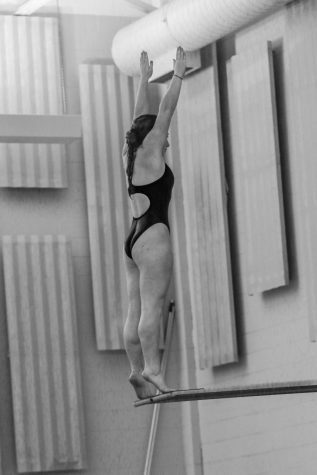 First-year student Suhan Mestha continued her strong rookie season, winning three individual events. Mestha finished the 200-yard backstroke in 2:10, the 50-yard freestyle in under 25 seconds and the 200-yard individual medley in 2:15. 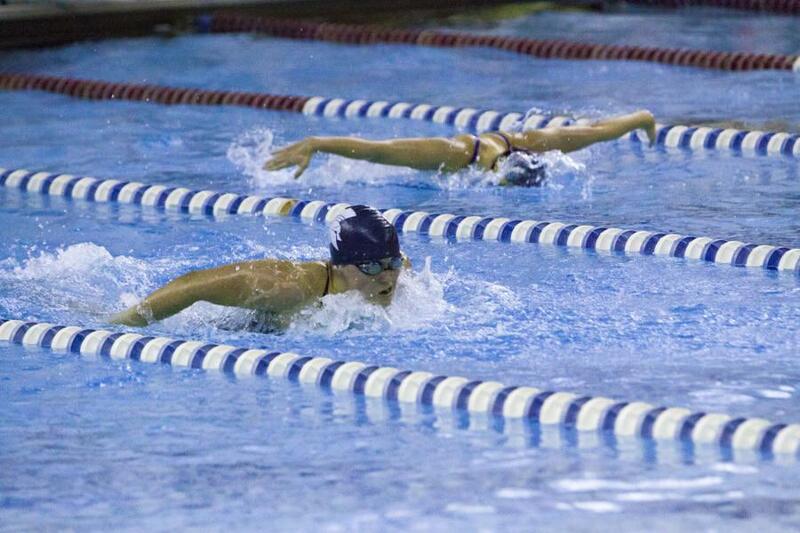 She also joined first-year student Alli Drohosky, fourth-year student Rebecca Pakradooni and second-year student Jennifer Eurich to break 1:55 to win first place in the 200-yard medley relay team. 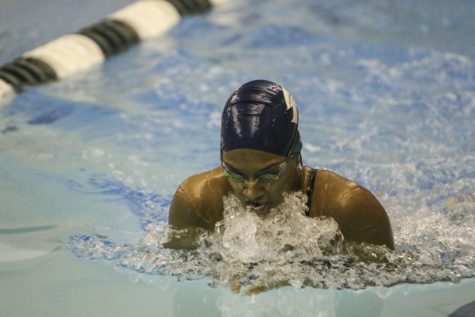 Along with a good effort on the first place relay team, Pakradooni annihilated competition individually, winning the 200-yard freestyle in 2:04 and 100-yard butterfly in 1:01.52. The long list of first place finishes also included first-year student Alexa Simoneau, second-year student Inez Moore, first-year student Bhavya Kumaran and first-year student Lauren Homack. The men also claimed many first place finishes. They almost tripled Allegheny’s score, winning 193-69 and taking both relay races. Second-year students Aaron Pang and John Kilbane along with fourth-year students Alex David and Elliott Kerbel won the 200-yard medley relay. David and Kerbel also competed in the 200-yard freestyle relay with fourth-year student Aaron Tam and second-year student Oliver Hudgins to finish with a first place time of 1:30.09. In individual events, second-year student Logan Smith gained two first place finishes with his 4:53 500-yard freestyle and 1:58 finish in the 200-yard butterfly. Other first place finishers included third-year student Andrew Henning, first-year student Brody Schmidt, second-year student Drew Hamilton and second-year student Ondrej Maxian. The men and women pushed their win streaks to eight. Regarding the impressive run, Milliken said, “I think we can finish the dual portion of our season on a very successful note. The meet this weekend with Ohio Northern and Hillsdale won’t be easy, but I am confident we can do well and finish the season off strong.” The men and women’s team head to Ohio Northern University to face off against Hillsdale College and the hosting Polar Bears.